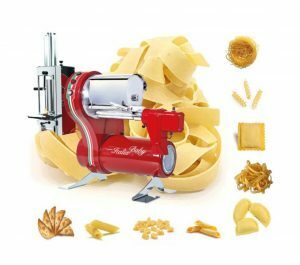 Tabletop Pasta and Filled Pasta Machine. Designed for Hotels Restaurants Café (HoReCa). 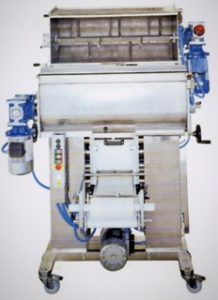 This model has mixer, extruder and dough sheeter for filled pasta. 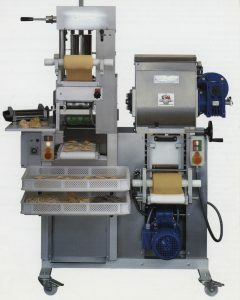 Production output for pasta extruder 15 LBS/hr. for filled pasta 25 LBS/hr. 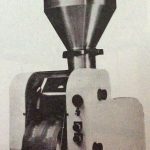 MODEL # SSF106 – Filling Dispenser Machine fills exact amount for fluffed shells and manicotti with hopper capacity 30 LBS and production 200 LBS per/hr. 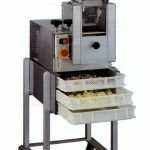 Industrial Pierogi & Empanadas Machine. Easy to operate, interchangeable dies. 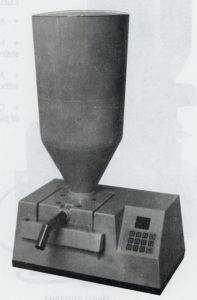 Capacity 3,500 – 5,000 pieces/hr. 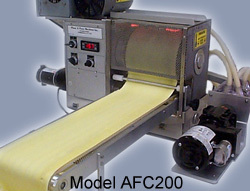 MODEL # APL160C automatically produces rolls of finished dough sheets and flat goods at rate 90 LBS per HR. and ravioli 180 LBS per HR. Gnocchi MODELS# AFG201 & AFG601 have production capacity 150-500 LBS/hr. 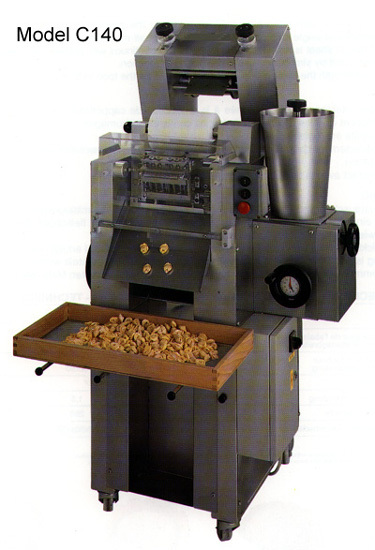 Continuous dough feeding, size and depth of gnocchi are fully adjustable. 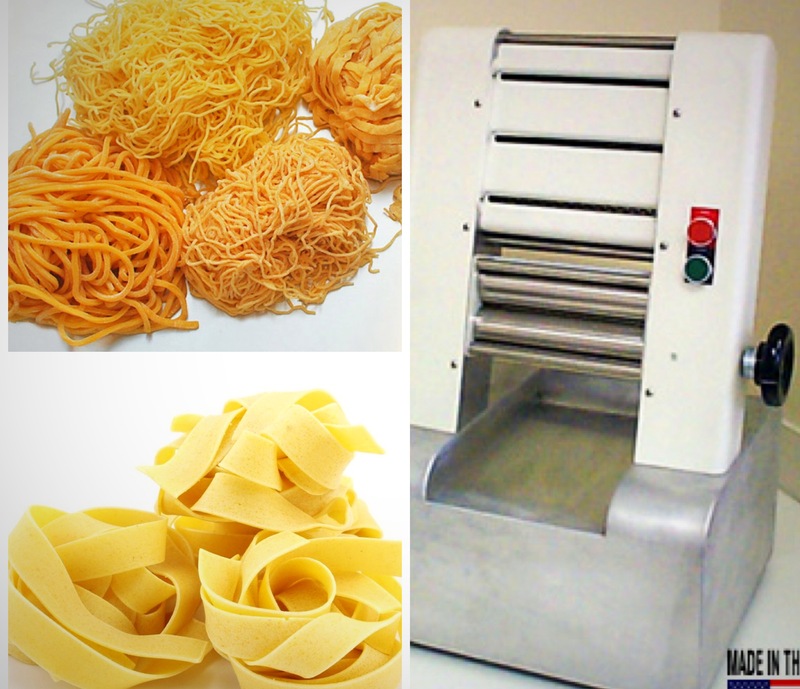 MODEL # MSC240 for Angel’s Hair, Spaghetti, Linguine, Fettuccine with capacity 50 LBS per HR. 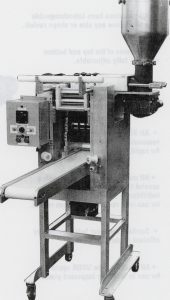 MODEL # AMS701 Automated Manicotti Machine produces up to eight finished pieces of manicotti per minute (500 pieces per hour). 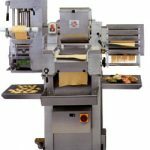 Reliable, easy to operate machine and with minor modifications this unit can produce crepe and blintzes too. MODEL# 1001B makes meatball and cheese balls, matzoh, cookie balls at capacity 5000 1oz. balls per hour. MODELS# 280C complete with noodle cutting and ravioli forming attachments. 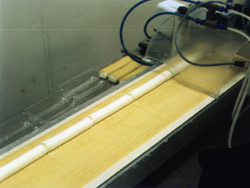 Produce best quality long flat products. Different dies selection. 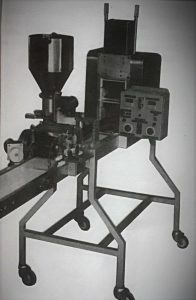 Production 60-45 LBS per/hr. 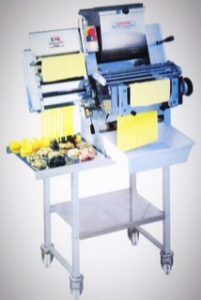 Model C140 & C250 Cappelletti and Agnolotti high capacity, up to 175 LBS per HR, pasta machines. 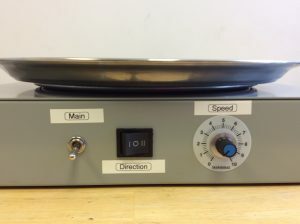 Rotating Turntable – Lazy Susan 16 has adjustable speed, 16 inches stainless steel base tray and clockwise-counterclockwise rotation. Catering facilities and restaurants helper!